Having ventured into the question of privilege and how it relates to the approach I’ve been putting forward (I really need a pithy name for it; any suggestions?) from one direction, I need to tackle it from the other, more interesting one: Is charity too much to ask? 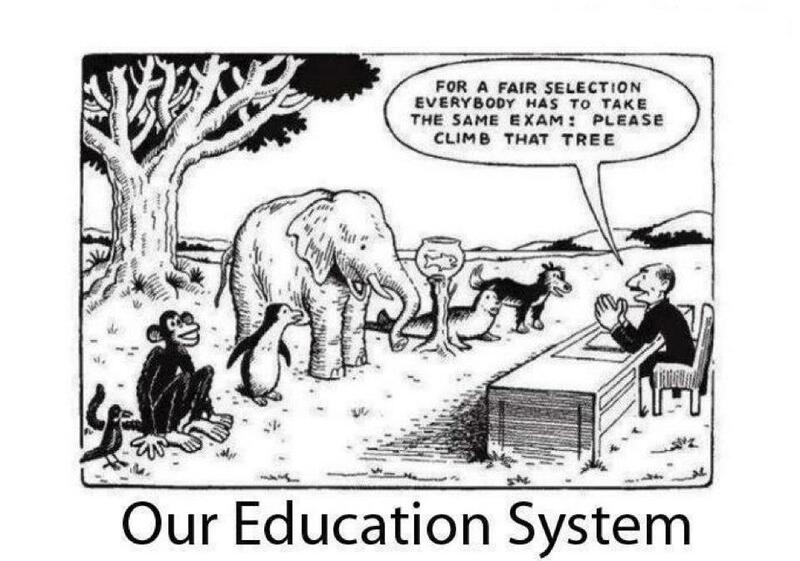 Is it akin to this comic, where we ask everyone to do the same thing, to practice due diligence in argumentation, but the request is still ludicrously unfair because of the differential abilities of the people involved? Is it true that marginalized people cannot be expected to be charitable to people who intentionally or accidentally use harmful words or convey harmful ideas? This commenter is expressing a sentiment about ability; they simply cannot always be charitable, and so it is ridiculous to expect it of them. I am entirely sympathetic to this. It is hard to talk to people who are long inferential distances away from you, or who are ignorant or apathetic to issues important to you, or who are perhaps being intentionally cruel. It is incredibly tempting to “smack down” the offenders with the wittiest, snarkiest, most “burn” inducing response you can think of, or perhaps tell them exactly how bigoted and awful they are, or any number of other approachesI’ve been arguing against. I understand and agree. I experience that desire myself on a regular basis. In such instances, charity is indeed, like so many other things, easier for the privileged. People who are privileged have an easier time being emotionally distant enough to not feel overwhelmed by anger, sadness or frustration. People who are privileged don’t have to be triggered, or fear for their life or safety as a result of certain conversations. People who are privileged are less personally invested in the outcome of arguments. But if you believe the claims Dan Fincke and I have been making, then charity and diligence are both of ethical and strategic importance, whether or not they are privileged pursuits. Being wealthy is a privilege, too, for instance, and that doesn’t change the fact that money is helpful in achieving certain goals, including social justice ones. Wealth being a privilege doesn’t mean that SJ-oriented groups shouldn’t try to raise money. In the same way, even if charity is, in this sense, a privilege, we have to do it anyway. If we are going to argue, we must do it properly. So my answer is no, charity is not too much to ask. But that is an abstract answer. What about specifics? How do individuals make decisions about how to engage? 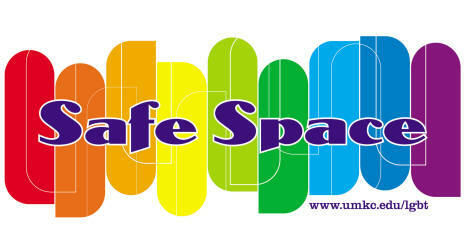 Offshoot Discussion 1: There are only two kinds of spaces: safe spaces and educational spaces. I firmly believe that charity and diligence are possible for most people in most circumstances. But I freely grant that they are not for all or in all cases. I have certainly felt the inability to respond productively to someone who was really pushing my buttons. When any of us find ourselves in this situation, we should remove ourselves from the conversation. If we need to talk about the issue or the incident, we should find ourselves a safe space. That’s what they are for, and they are great. But there are only two kinds of spaces as relates to social justice discourse: safe spaces and educational spaces. And educational spaces, where there are those who must be convinced to agree with our causes, can be won or lost on the strength of persuasiveness and argument. Educational spaces are where we must work to be as effectively convincing as possible so as to win support and allies. Educational spaces are where we don’t want unproductive arguments and uncharitable approaches to get in the way of our missions. To be absolutely clear, I do not in any sense desire that marginalized people be left out of the discussion. Their input is absolutely crucial to making the world better. Without, their ideas, stories and perspective, it is impossible to fix the problems faced by those society mistreats and renders invisible. Anyone, including the (often rightfully) angry, frustrated, offended, can and should participate in public conversations. It is merely the case that we must all hold ourselves to the same general standards, and refrain from engaging if we cannot. Offshoot Discussion #2: Allies, use your privilege right! It is the role of allies in general to consider how best use their own privilege to the advantage of the marginalized they seek to support. Any ally who feels that charity is overly privileged should consider using their own privilege to do the hard work of charity and due diligence. They, and any marginalized person who feels able to engage in this way, can push conversations forward, moving past mere calling-out to more thoughtful, nuanced discussion about how to improve our communities and societies. 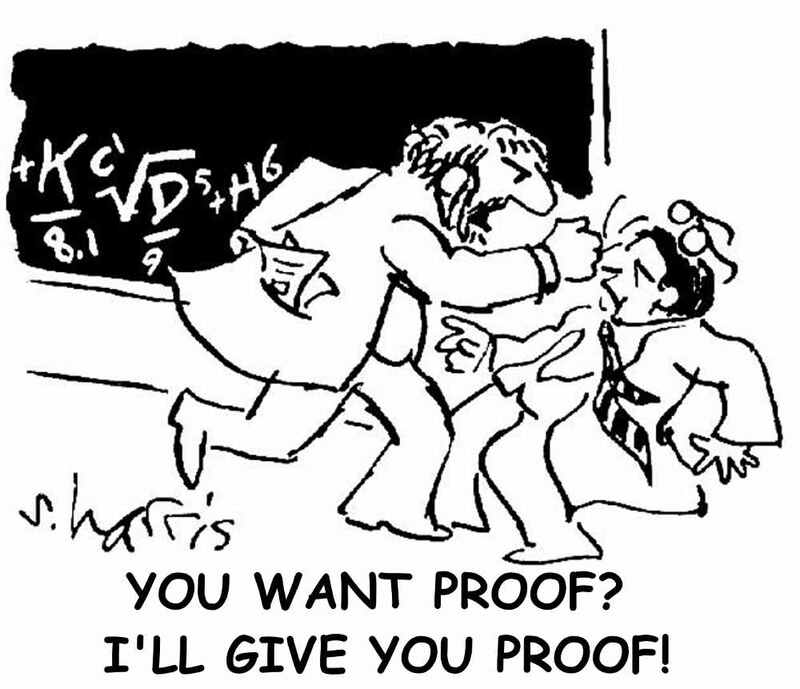 Explaining the evidence for the theory of evolution to a physicist would be easy; even if the physicist didn’t already know about evolution, they would understand the concepts of evidence, Occam’s razor, naturalistic explanations, and the general orderly nature of the universe. Explaining the evidence for the theory of evolution to someone without a science background would be much harder. Before even mentioning the specific evidence for evolution, you would have to explain the concept of evidence, why some kinds of evidence are more valuable than others, what does and doesn’t count as evidence, and so on. This would be unlikely to work during a short conversation. Similarly, one SJ-oriented friend might be able to convey to another SJ-oriented friend why complaining about the term “cisgender” on the basis that the term is stolen from chemistry is problematic with a single step. They don’t have to explain about the way labels can empower or how words can do harm or how derailing works or what cisprivilege is, let alone privilege in general. They can just allude to all of that shared knowledge and assume it’s understood and believed. For the mathematically minded, all the lemmas have already been shown, and from there the theorem is a one step proof. But without being able to assume all of the information, ideas and analysis that go into the Social Justice™ system, it’s much, much harder to explain what’s going on. In fact, you can’t do it directly at all. To properly make the argument, some patient and charitable soul would have to start from the beginning, the core axioms, work through all the basic approaches and forms of analysis, arguing all the way that they are legitimate and worthwhile, then showing how they apply to the situation in question, and hoping desperately that they’re still paying attention by the end. And that’s in the best case scenario, where it doesn’t disintegrate into slurs, derailing or unproductive mud-slinging before the explanation is over. Just like in math. It seems unfair, of course, that in order just to convince someone to stop believing harmful and incorrect things, that much work has to be done. The answer seems obvious, if you already have all of the knowledge, information and assumptions. But from the other side, it isn’t at all. In fact, it’s not rational to find it obvious. Without an explanation that starts with assumptions that are in fact shared, someone who doesn’t currently agree with our fictional Social Justice Warrior doesn’t have reason to believe what they’re being told. Just as so many creationists disbelieve science because it rests on the concept of the scientific method (which they do not accept), and mathematicians dismiss proofs that require unproven assumptions (except the unproven assumptions they like), this non-SJ-er must reject the notion that “cisgender” should be a required part of hir vocabulary. (Much like hir). Note that mathematics and creationism have somewhat different truth values. It doesn’t matter; this is still how it feels from the inside to believe some things and not others. By bridging the gap! Get rid of it entirely, by meeting the person you’re talking to where they are. If you require a baseline of civility or respect for the conversation to continue, make it clear from the outset. In the spirit of “you don’t have to get it to respect it,” you can demand that arguments must be in good faith and that certain words that you feel are harmful and cruel not be used for the duration of the conversation. Find out how far back the disagreement goes by finding the most basic assumptions you agree on. Best way to do this is just to ask: “Do you agree with this? How about this?” until you figure it out. Start from there and make your case. Try not to use jargon or specialized language that the non-SJ-er doesn’t use without definition. Step by step, get them from their column to yours. If you find you can’t prove your point from that far back, it’s time to ask yourself again why you believe what you believe. Obviously, use all the techniques I’ve been talking about. Anticipate counterarguments as you walk them through your case. Argue the best version of their position. Be willing to change your own mind. Don’t insult them, even if they deserve it. Don’t assume their intentions are bad. Since you’re taking them through a long series of steps, be willing to accept compromise. Be happy if you took them through some of the steps, even if you had to stop there. It’s all a journey. Similarly, since going through this many steps is hard, see if there are any places to make it easier. Skip nonvital steps. Condense and simplify if you get the opportunity. This will both help your argument and teach you what parts of your argument are required for the rest to stand and what parts are not. If, in order to agree with you, one or more of their identities might be in jeopardy, be careful. Allow the entire thing to be a thought experiment. Try to fit it in with a more deeply-held identity. Try to help build up a belief structure that will replace the one they’re abandoning. Remember that it may not be “just an argument” to them either. Being able to construct your own argument from first principles is great. Being able to construct the other side’s is even better. It allows for so much insight into why they don’t agree with you in the first place, which makes you more charitable and more effective when you’re looking to win them over. The tips might look intimidating, but the important part has only three steps. It’s really that simple. It’s hard to be perfectly persuasive all throughout the argument, it’s hard to make an argument that extensive, and it’s frustrating to do it over and over again. But it is simple. For those willing to do it, arguing with people who have entirely different assumptions is just the task of laying out a path, slowly but surely, from one set of beliefs to another. The day I started calling myself an atheist, I was reading The God Delusion during Rosh Hashanah services (sorry Rabbi Goldberg!) when I was about 14 years old. At the time I was calling myself a pantheist, but when Dawkins dismissed the notion as “sexed-up atheism”, I felt I could no longer bother with it either. But there was a final hurdle. I shuffled through the seats over to my father, sitting in a different row, and tapped him on the shoulder to get his attention. When he looked up, I whispered fearfully, “Babbo, am I allowed to be Jewish if I’m an atheist?” With a smile he said something like, “Well, my reconstructionist synagogue never cared.” (Point of reference: He’d never told me he was an atheist before this). What a relief! I could breathe easy again, knowing that a crucial identity was salvageable even as another crumbled. It was this which allowed me to immediately start identifying as an atheist. It would have been much harder, and perhaps harder even just to allow myself not to believe in God, had I been told otherwise. Identity is very hard and uncomfortable to change, so we avoid that change whenever possible, even if it means maintaining a position that another part of us might know is wrong. This is where we get phenomena like cognitive dissonance and denial and confirmation bias; we’ll do seemingly anything to not have to totally reconfigure ourselves. Arguments about identity, then, become very unproductive very quickly. So if we want someone to change their mind, we shouldn’t make the argument about identity at all, if we don’t have to. If you’re arguing about tax rates, don’t make it about Democrat vs. Republican. If you’re arguing about the Affordable Care Act’s exemptions for churches, don’t frame it as religious vs. nonreligious. All you’re asking for is their brain’s Identity Protection Racket to kick into high gear and end the conversation. This goes double when you’re “on the same side”, both vying for the title of True Type, like True Christian or True Rationalist. When that happens, the conversation has stopped being about the issue at hand and started to be about the ability of the people involved to protect their emotional investment and their sense of self. That’s terribly unproductive and also overly harsh, for everyone. Stick to the argument at hand, and don’t let it become the Battle of the Identities. In fact, what this very cool study suggests is that, far from challenging an identity, we should affirm the relevant identity of the person we’re arguing with. In a sense, try to see them as they see themselves. Make sure they know you see them as what they identify with, and make sure that they know that the debate is not about whether they have a right to that identity. How? He also supported cool mustaches and hair gel, apparently. These approaches make the argument not about whether or not their identity is correct, but only about whether their position is correct. That’s not only important to the productiveness of the argument, but also to how we’re treating our opponent. After all, our identities are very important to us. Challenging them makes a discussion personal and tense in a way they often don’t need to be. Asking people to think of themselves differently is a tall and difficult order, and it should be treated as such. It isn’t the kind of thing to do thoughtlessly, in the context of a debate that’s about something else. When we remove the debate from the identity question, we get a much easier and less emotionally fraught issue, which is much more likely to result in a changed mind. That’s what my father accidentally did for me by assuring me that I could remain a Jew. He made me feel like my core was remaining strong and the god issue was just tinkering, which made it easier to change my mind on that question. And even if no minds are changed, the discussion is much more likely to be a productive one, since no one is forced to feel like they have to defend their own identities. Call Harm, not Foul: Being Careful About Language, Especially Calling People Racist/Sexist/Etc. I started out by thinking of my approach to persuasion and argument as charitable. It’s a nice way to think about and respond to other people. It’s going the extra mile in really making sure you’re addressing what they’re saying and doing the best job of defending your position. But then I thought that it wasn’t a good idea to think of this approach as just the nice thing to do. That makes it seem like something good, but not in any way obligatory or incumbent on us. It also made it seem like I thought we should always be nice and gentle and sweet to people who are wrong in really harmful ways, and I don’t think that. So then I thought the issue could be reframed as one of due diligence. That in a specific set of contexts, in which we’re discussing with people (even if it’s the whole internet) whose minds we’re trying to change and whose minds we think we can change, we have a set of responsibilities, even duties, that constitute proper and productive discussion. But people still think that I’m in favor of not calling out badness and harm properly, of censoring ourselves so that we can fit in, be nice, be accepted, not cause too many problems. None of that is true. So here’s another way to think about the things I’ve been talking about. “Charity” doesn’t have to be “accomodationist,” moderate, forgiving, tolerant of intolerance. “Charity” can be the most intense, powerful, evangelistic form of activism. This gets used again because I like it so much. Although, it should say “Don’t just raise your voice.” Because speaking out is important too. Being charitable means your arguments hit exactly where they need to, since you understand the position of the other side. It means you can address the strongest part of someone else’s argument, because you know what makes it compelling to them. Being diligent means you care about doing argumentation right, and that you make stronger, more compelling arguments as a result. It means you fight fair, and thereby demand respect from those you’re trying to win over. Steelmanning means you can take down an especially strong argument, leaving the one you’re actually addressing in pieces beneath it. It means no one can run away from the argument with the excuse that you didn’t take them seriously or address them properly. Using words carefully calls people to task in a way they understand. It forces people to examine their beliefs because they’re being spoken in a way that makes sense to them. It doesn’t allow people to ignore new ideas because they don’t know how to think of themselves as a bad person. It doesn’t give anyone an easy excuse to tune out truth that’s hard to hear. It goes on and on. To change the world, we’ve got to change some minds. The most effective way to change minds, then, is going to be one of the most effective forms of activism. That’s why judicious and thoughtful and good argumentation is so important and powerful. It is not weak to think carefully about how to do activism effectively; it is not self-censorship to be concerned with arguing more convincingly. It is exactly the kind of unrelenting, agitating, subversive practice that gets us what we want.